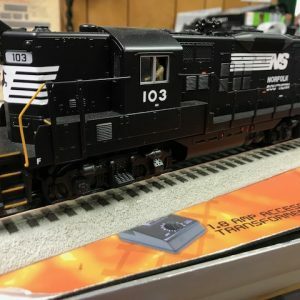 The SD60E is the star of the Norfolk Southern Railway’s diesel rebuilding program, which it describes as “the ultimate in recycling.” In the road’s ex-Pennsy Juniata shops in Altoona, PA, more than 150 1980s-era EMD SD60s are being rebuilt into 21st-century locomotives. Introduced in 1984, Electro-Motive’s SD60 was the first EMD diesel to incorporate computer technology, onboard diagnostics to aid the engineer, and the new model 710 diesel motor. The SD60E (E for “Enhanced”) program adds the major advances in locomotive technology in the ensuing three decades: improved crashworthiness, better fuel efficiency, lower emissions and a more user-friendly crew environment. The most obvious change is the new Crescent Cab, designed in-house and named for the NS’s Crescent Corridor, an infrastructure project that speeds up traffic across 11 states from Louisiana to New York. Built for a post-caboose era when the entire train crew rides in the locomotive, the cab is “one of the roomiest ever built” according to NS, and incorporates a large sun visor, padded floor and ceiling, a desk for the conductor, an air-controlled stainless steel restroom, and improved crash protection. In the engine room, a completely rebuilt 16-cylinder model 710G3B prime mover delivers 4,000 hp, 200 more than the original engine. Electronic fuel injection is only one of the improvements that helps this motor deliver lower emissions and better fuel economy than the stock 1980s power plant. Another is a patented dual-circuit or “split” cooling system that makes the new engine run 40 to 50 degrees cooler than the original. It was designed by two NS employees who describe themselves as “old hot rodders,” drawing on ideas from high-performance racing engines. The improved 710 diesel also features automatic stop/start to reduce unnecessary idling, saving both fuel and engine wear. In addition, a GPS-based computer system tells the engineer the optimum train speed for maximum fuel efficiency at any point on the road. 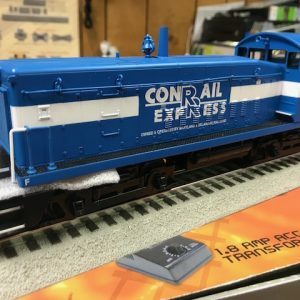 Since the start of the SD60E program in 2010, several locomotives have received special commemorative paint schemes. Unveiled at Altoona in November 2012, engine 6920 honors the commitment of America’s military veterans. It also symbolizes the Norfolk Southern’s commitment to hiring veterans and members of the National Guard and Reserves, who include more than 4,200 NS employees. 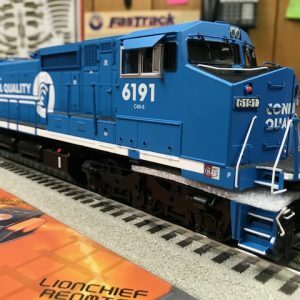 Outshopped in March 2014, engine 6963 commemorates the 10th anniversary of GoRail, a non-profit group that mobilizes support for business and government policies that lead to more freight moving by rail. 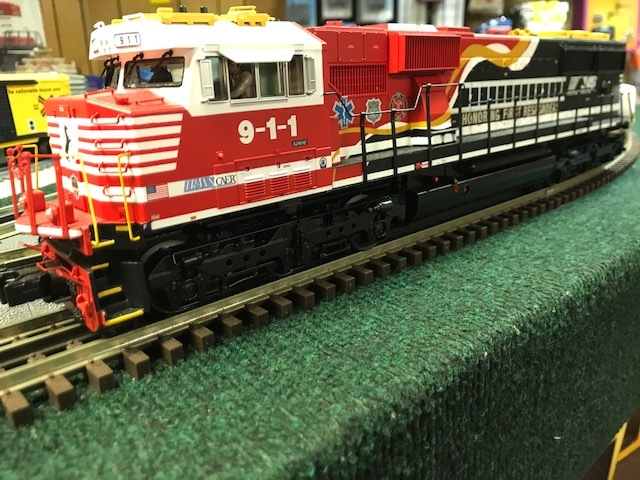 Engine 911, originally slated to be NS 7003, became the latest commemorative engine this past June in a ceremony at Washington D.C.’s Union Station. Featuring the Maltese Cross of fire services, the Emergency Medical Services’ “Star of Life,” and the Police shield, No. 911 honors the dedication and sacrifices of first responders. In addition, it underscores the railroad’s commitment to its outreach program for hazmat training, which in 2014 reached more than 5,400 emergency first responders in lineside communities. 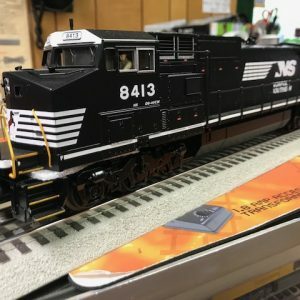 Both the Veterans and the First Responders locomotives in M.T.H.’s lineup will include special cab chatter dialogue featuring audio from Wick Moorman, former CEO and current Chairman of the Board of Norfolk Southern. Accessible through the Proto-Sound 3.0 PFA feature, these special recordings can be accessed in Conventional Mode from any transformer with a whistle and bell button or via the M.T.H. DCS Digital Command System.